Commonly referred to as “Jora Girja” meaning “twin church for its twin spires” is a Catholic shrine located in West Bengal called “St James’s Church”. 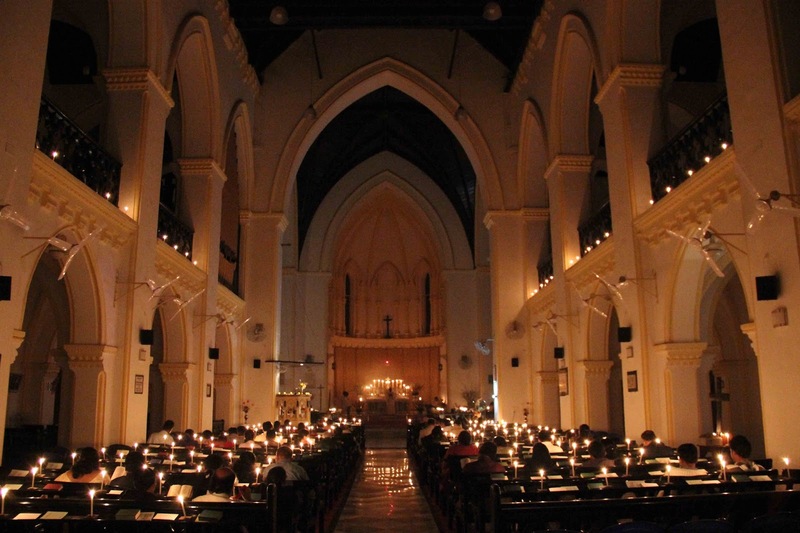 This church is located in Kolkata and considered to be “one of the most elegant churches in the City of Joy”. Historically speaking the foundation stone for this “elegance personified church” was laid on 7th June 1862 by the then acting Lieutenant-Governor of Bengal John Peter Grant. Furthermore, architectural style used to design this church is essentially “Gothic”. There are two routes from Kolkata to this church, and they are via AJC Bose Road and via Sasi Bhushan Dey Street and AJC Bose Road. The history of this catholic shrine states that this current church was constructed in order to replace the old one (first established in 1829 by Bishop Reginhald Herber) located in the Nebotolla Lane in Kolkata. The reconstruction was undertaken simply because the beam of the old church was completely destroyed by a “white ant” attack. Furthermore, there were attempts made to renovate the old church. However, since the attempts to repair the damage turned out to be futile with the roof of the church falling over the renovation plan was officially abandoned in 1858. It was then decided that it would be more sensible to build a new church in a more suitable location. As a result of which the St James’s Church that currently stands was eventually constructed in 1864, and was blessed by Bishop Cotton on July 25th.